I have added a new freeware on my website. It is a free plug-in created in VB.NET 2005. Use ADTListDefinition to import, create and export ListDefinitions quick and easy. You need ADT (Autodesk Architectural Desktop) or ABS (Autodesk Building Systems) to be able to use this program. In the Style Manager>Multi-Purpose Objects there are List Definitions (introduced in the 2007 versions) that can be useful for many purposes. But you have to add them one by one. Imagine if you have an existing list of many items in Excel or some other format and you have to add them manually. Another thing is that even though the list in the Style Manager shows up sorted the list is sorted in the order the items where added when the list is used in a Manual Property Definition, Space name or Zone name. So if you want the items in alphabetic order and add one that is not supposed to end up last you have to add all again. This is one reason when this tool comes handy. Tip. ListDefinition is the command to start the Style Manager with only the List Definitions. There is a lot XML usage going on. 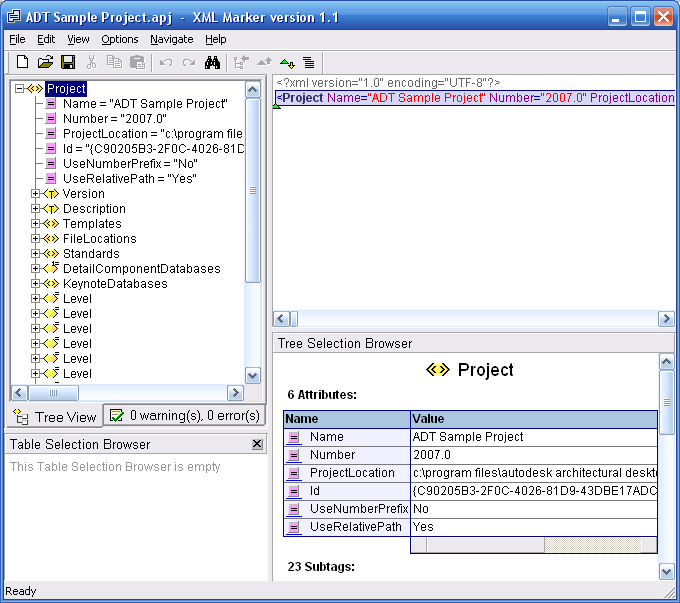 I use it in an application for ADT 2007 I'm developing in Visual Studio 2005 and will export to Fi2xml. AutoCAD Palette Auto-hide Speed freeware modifies fixedProfile.aws (an xml file) that AutoCAD based applications uses. The Mars Project from Adobe Labs with an XML-friendly implementation of PDF syntax with the new file format Mars (.MARS file extension). Microsoft .NET 3.0 Framework includes DWF (.dwfx) Viewing Capability based on the XML Paper Specification (XPS) from Microsoft. But even the existing DWF format uses a lot of XML in it. AutoCAD's .CUI, AutoCAD Standards Check File (.CHX), Autodesk Project Information (.APJ) files used by ADT as many others are XML files. XML Marker - A free XML Editor that uses a synchronized table-tree-and-text display to show you both the hierarchal and the tabular nature of your XML data. 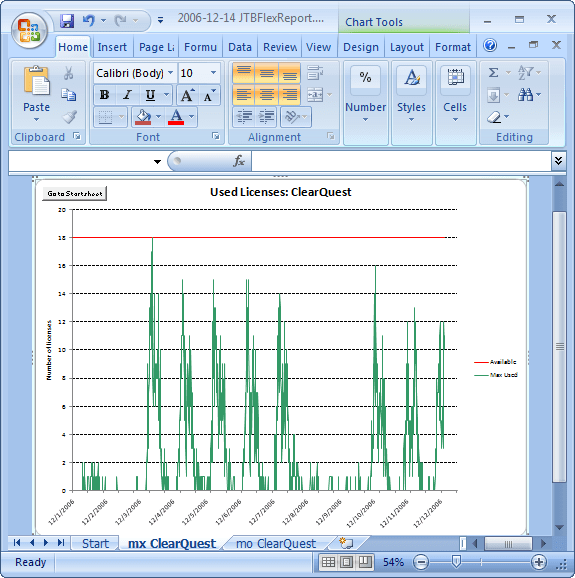 XML Notepad 2007 - A free XML editor from Microsoft. Version 2.2 published 11/27/2006. 3D PrintScreen that can grab a 3D model from any OpenGL based application and save to 3D XML and the 3D XML Player are free from Dassault Systemes. With this registry tweak I can download 10 files concurrently. This works with all Windows Internet applications that use the standard API, including Internet Explorer. More can be found on this at Microsoft's KB. Or the following four rows can be saved to a text file using Notepad and with the .reg file extension. For example MaxConnectionsPerServer.reg. Then just run (merge) this file. On CodePlex there is a free utility to make backup of your Blogger blog. It worked great to backup all 375 posts so far. PS. Blogger is no longer in Beta. It's new. And the Backup Utility worked with it even though it says Blogger 3.0 (Beta). Often when you search a HTML help file (.chm extension) you find that the words you search for are highlighted and sometimes it can be too cluttered. A quick way to get the highlights removed is to click in the window part where the actual help shows up press F5 to Refresh (or right click and Refresh) the page just like in Internet Explorer. In Options there is also Search Highlight Off or Search Highlight On. But in the AutoCAD 2007 Help file acad170.chm that is powered with AnswerWorks there is no way to see the search words highlighted. But there is a workaround. If you want to search in the users guide you can open that specific help file directly. In this case C:\Program Files\AutoCAD 2007\Help\acad_aug.chm. Autodesk Architectural Desktop 2007 Help file adt2007.chm for example is not updated to use AnswerWorks either. An ADT 2007 and ABS 2007 help file related tip. You might have noticed that you cannot set favorites in the Help file in the 2007 products any more. Here is the workaround described. Open C:\Program Files\Autodesk Architectural Desktop 2007\Help\ADT.chm or ABS.chm directly from Explorer. Sysinternals Process Monitor v1.0 announced via Sysinternals Site Discussion. Process Monitor, a system monitoring tool that not only replaces Regmon and Filemon by including file system and registry monitoring, but adds process, thread, and DLL monitoring as well as advanced filtering, event information, and basic data mining capabilities. Microsoft Office 2007 User Interface Ribbon can be licensed. Microsoft is offering a royalty-free license to use the Office UI subject to a very few restrictions. You're not allowed to make a word processor and competing with Word. Will Ribbon be used in applications like AutoCAD in the future? We'll see. BTW. http://www.microsoft.com/ was the other day updated with a new look. Just as Robin Capper I have started using the latest Beta of RSS Bandit. "Feed items appear in wrong feed folders" was one thing that irritated me most before. Now I just got that problem again. Only in one feed so far though. So the bug fix didn't solve it fully. But you might want to try using it anyway. Then I remembered that I installed the beta of SP1 so I had to uninstall it first. Make sure to select Show updates in Add or Remove Programs. I forgot that first and could not find it. The install really takes looong time as you are informed about when the install starts. 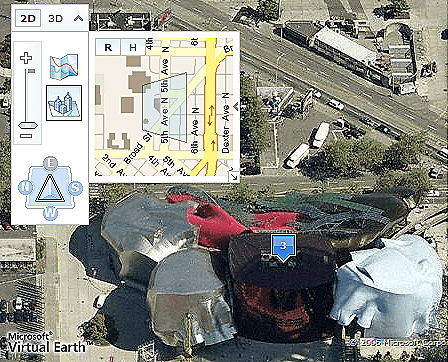 Great collection to tour Frank Gehry's Architecture using Virtual Earth or even the embedded Virtual Earth 3D that needs to be installed if you click on 3D. Mozy is as I said before the online backup solution I use but I've tried some more and wanted to let you know that ProtectMyPhotos is a great and non intrusive program but limited to mostly images or photos and some other file types like most common document types like Word and Excel. If you want other file types you have to wait and see if it's added in the future. This website lists more than 400 online backup companies and ranks the top 25 on a monthly basis. I see that Mozy is going up the ladder. Now on place 20. Are you using VBScript, CMD or BAT? Are you using the old Command line using cmd.exe? Then Windows PowerShell is worth looking at. Windows PowerShell™ is a new Windows command-line shell. Take a look at the VBScript to Windows PowerShell Conversion Guide. See Windows PowerShell Team blog and download from the homepage for Windows PowerShell. You can run Windows command-line programs and start Windows graphic programs in Windows PowerShell. In Windows PowerShell, script files have a .ps1 file name extension. Support for Tab-Completion. Start with for example get- and press tab several times and find cndket's like Get-Acl, Get-Alias, etc. Windows PowerShell is built on top of the .NET common language runtime (CLR) and the .NET Framework, and accepts and returns .NET objects and you work with methods and properties. Windows PowerShell has syntax features and keywords that are very similar to those used in the C# programming language. Windows Management Instrumentation (WMI) is supported with the cmdlet for accessing WMI objects, Get-WmiObject and is one of the most powerful ones. You can reference COM objects like WScript.Shell. You can use the Win32_Product class to install Windows Installer packages, remotely or locally. In addition to the familiar file system drives, such as C: and D:, Windows PowerShell includes drives that represent the HKEY_LOCAL_MACHINE (HKLM:) and HKEY_CURRENT_USER (HKCU:) registry hives. If you want to use one of the free PDF printers or writers that are available hyperlinks does not always convert correctly when the Word document is printed to PDF. Typically this is when they are wrapped on two or more rows or have very long paths. I've tried CutePDF Writer, Pdf995 and PDFCreator among others and they all had this limitation. To solve this using CutePDF there is no free solution. You need to buy ($49.95) CutePDF Pro (Commenting -> Link Tool) to add those links back onto created PDF document. PDF995 had the solution with the Word toolbar addin that comes with pdfEdit995 that also is free. PDFCreator could not solve this at all. Both the support for CutePDF and Pdf995 where quick to answer my questions. There is a Field name introduced in AutoCAD 2007 named LispVariable. When selected it shows all Lisp variables available at that moment. Cool! But how useful is it. If you open the drawing and not have that variable and updates the field it will show ####. Have you found any use for LispVariable? 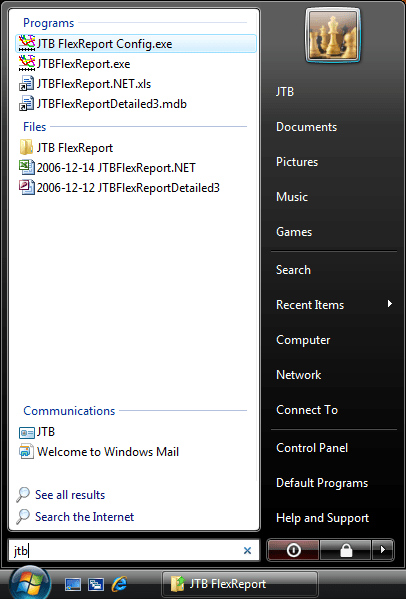 In-Windows Restore Files in Folder (just right click in Windows Explorer) and a new virtual folder directly in My Computer to the backup files. Unlimited restores (web or in-windows!). Before there was a limitation of the number of backups per month. 2 GB of 100% free online backup space and 30GB - $4.95/month. Secure and easy to use. Use the link here or the referral code - VWW637 - and get another 256MB of free backup space. I've used Mozy for some months. I feel safe and I like it a lot. It can even backup my Outlook data files when Outlook is running. Update: For $4.95 a month, users may now backup unlimited amounts of data. Mozy now also offers consumers the option to order a copy of their data on DVD, shipped next-day air via FedEx. A start-up, non-profit company, geared towards increasing the performance of the A/E/C Industry of Asia Pacific intend to create a special software, or group of software's, and distribute it to the public through open source. Functionalities included would be 2D, 3D, design computations, process optimization, virtual simulation, Quantity Breakdown, Import/Export to data library. If you would like to participate feel free to contact josepaolocalma@yahoo.com. He is right now looking for a competent Project Manager for this project. Most batch programs for AutoCAD and its verticals can only run script files (files with the SCR extension). SmartPurger can also run AutoLISP files (files with the LSP, FAS or VLX extension) directly among all other useful things. Here is one reason why it can be useful. If you want to redefine a block definition without inserting a new block in a drawing you can insert a file using = as this example shows. The row (command) cancels the insert command but still the block is updated. But if this is run by the script command (command) stops the script from executing any further. It doesn't help to load a lisp file from the script file. But this can work when running a lisp file using SmartPurger like this sample below. 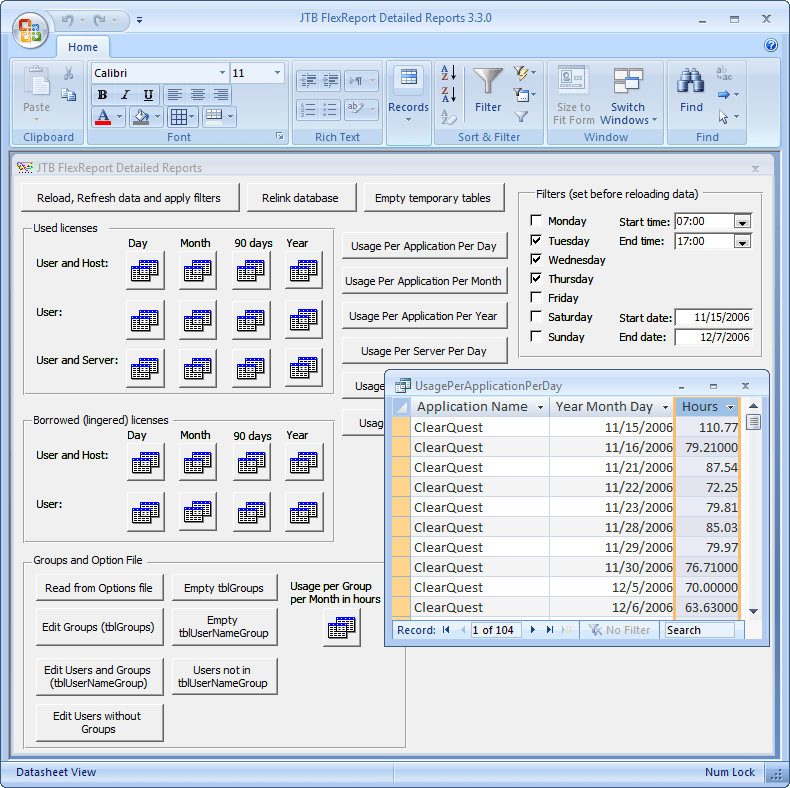 The last to rows are needed for SmartPurger to continue and process the next drawing. Click here to download the free trial of SmartPurger. 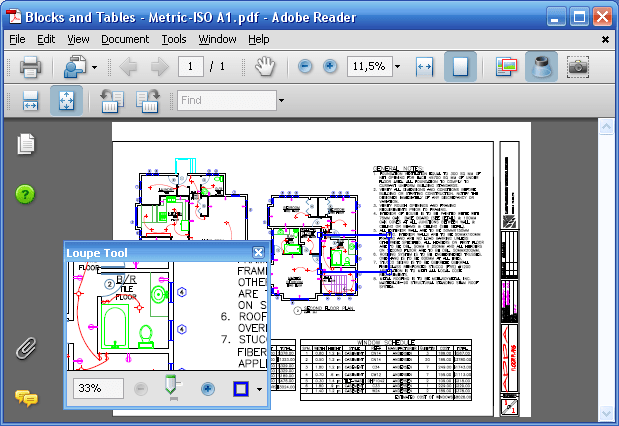 It also for the AutoCAD 2007 platform where you might have trouble to get ScriptPro to work. The trial is fully functional except that you can only batch 3 drawings at a time. The fully functional version can be purchased from 25 USD. Since it has ability to close dialog boxes like the one for missing shapes it can almost run forever without interruption. I can reproduce the error editing the key File1. 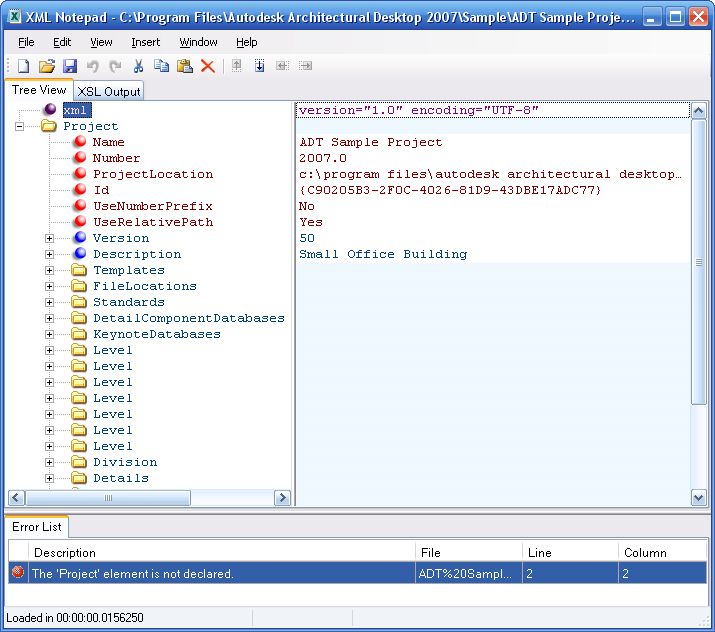 When it is C:\ADT2007 ABC spaces construct.dwg it crashes. This is a non existing drawing. When changed to C:\test.dwg that also is non existing it does not crash. What if it was related to the lenght. I tried C:\12345678901234567890123.dwg and it crashed and C:\1234567890123456789012.dwg without getting a crash. Oh well. TS1061587 that was about the same error message but the issue was not related. I tried to enable hardware acceleration as the solution was and what do you know. It solved the problem. For a moment. Then it returned again. Workaround found but not satisfied with it. Let's see if the ADT Error Report's I sent in to Autodesk helps... If you know of a solution please add a comment. Update! The problem has started to happen in AutoCAD 2007 as well.